Salt, Fat, Acid, Heat is a New York Time Best Seller By Samin Nosrat. It has been voted one of the best cookbooks of 2017 by numerous sources. How Chef Samin Nosrat deconstructs the principals of flavourful cooking. 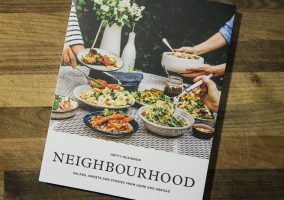 At first glance, you pick up a thick but unassuming directory style cookbook. You flick through the pages and see mountains of words; oh no not another one. But on further inspection, Samin Nosrat has deconstructed cooking to the four pillars of salt, fat, acid and heat. 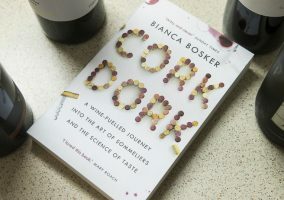 She has very cleverly shown the scientific connections between them, and how to use this to cook with the most flavour possible. Nosrat’s philosophy “good cooking is good cooking wherever you go” utilises these four factors. Anyone will be able to navigate their way through the kitchen. Her style of writing frees us all from relying on specific recipes. It enables us to throw together delicious meals from leftovers in the fridge. She also hopes that mastering these elements of cooking will simplify feeding ourselves and prompt us to reconsider ordering takeout food. Although scientific and very informative, Nosrat comes across playful and fun, making the book a pleasure to read and learn. Tied in with this is the choice to have had her book illustrated by Wendy MacNaughton, an acclaimed illustrator and author in her own right. Wendy’s illustrations, charts and graphs are fun and whimsical. They help to demonstrate some of the complicated points in a visual way that really connects the dots for this book. 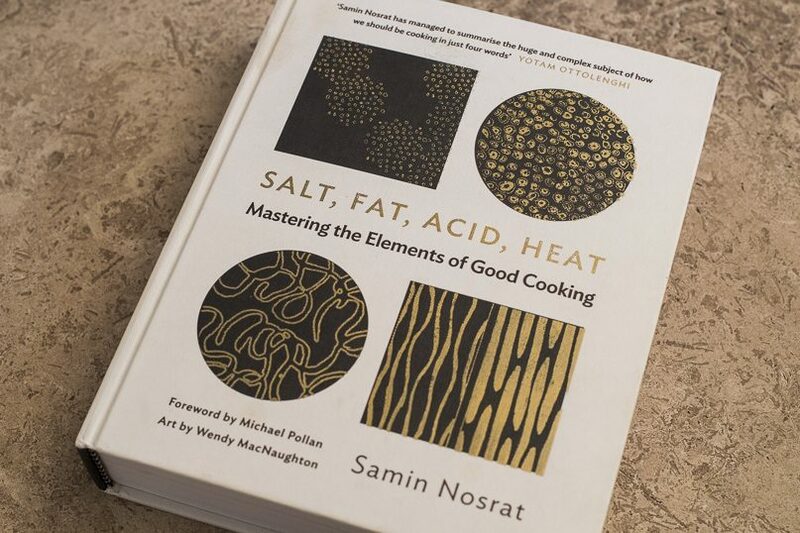 Nosrat explains how salt, even to the shape of the crystals, can affect a dish’s overall flavour, as well as affecting specific proteins in the food. She shows how fat results in a food’s crispness. The cookbook examines how heat influences flavour via caramelization, and, ultimately the texture. Most importantly though, Nosrat shows how to balance all these elements when composing a dish or a meal. Once again, the colourful illustrations aid in teaching some of these basic techniques. Following on from that, the reader is guided through over 100 recipes with endless variations. 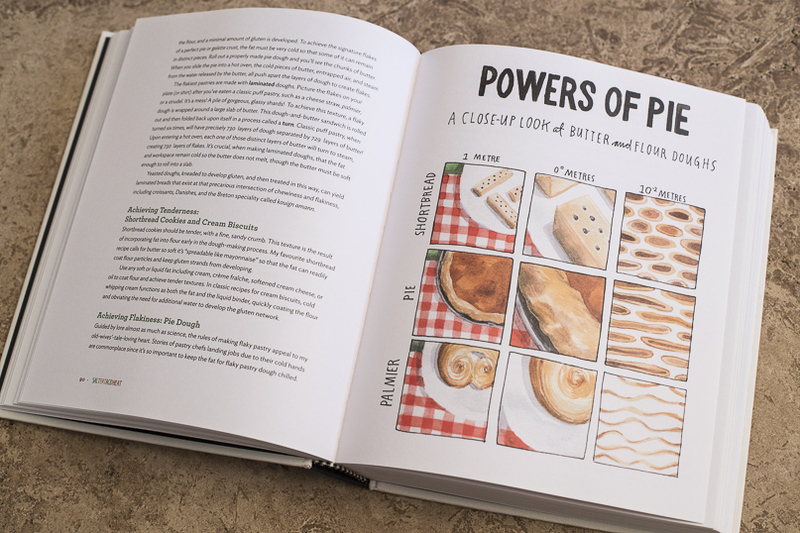 You will have the confidence to create your own delicious recipes by understanding the elements behind them. This excellent directory style cookbook will become an invaluable reference for almost anyone who reads it. Suitable for all levels from professional chefs to first-timers. Samin Nosrat is a writer, teacher, and chef. 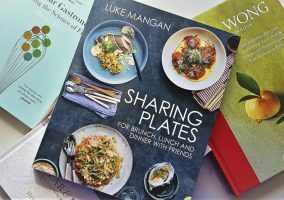 Called “a go-to resource for matching the correct techniques with the best ingredients” by The New York Times, and “the next Julia Child” by NPR’s All Things Considered. She has been cooking professionally since 2000 when she first stumbled into the kitchen at Chez Panisse restaurant. She lives, cooks, surfs, and gardens in Berkeley, California. Salt, Fat, Acid, Heat is her first book.